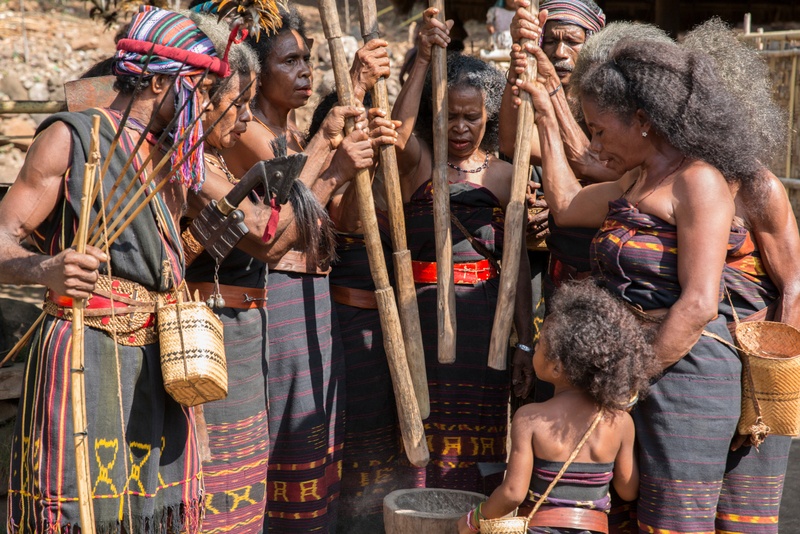 As a classic Phinisi it was built in Bira, Sulawesi by the Konjo tribe, who have been building cargo ships for centuries. Blending ancient techniques and wisdom with modern design and safety features, Coralia is one of the few Phinisi equipped with two engines. 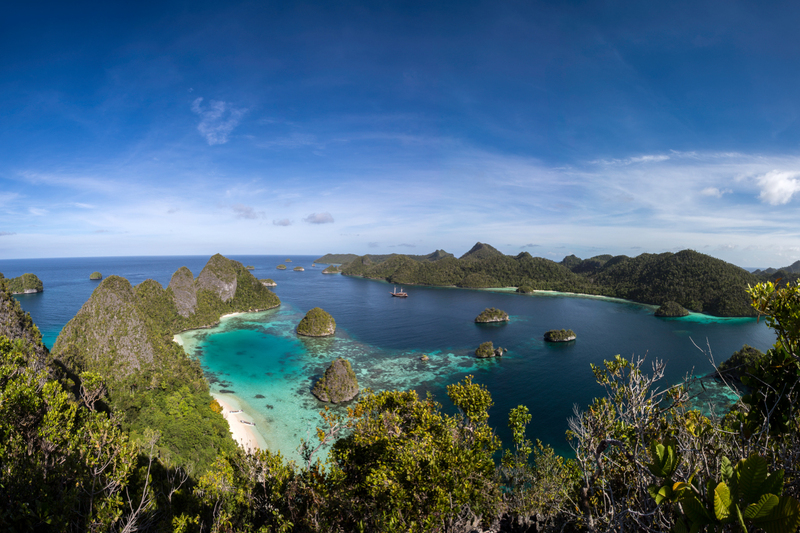 Coralia is a project by Papua Explorers, who are renowned for exceptional service, quality and commitment to protecting the nature while developing local communities in Raja Ampat. Accordingly, we use reef friendly laundry detergent and bathroom amenities, biodegradable garbage bags, avoid the usage of single-use plastic, and make a point of employing and training locals on as many jobs as possible. 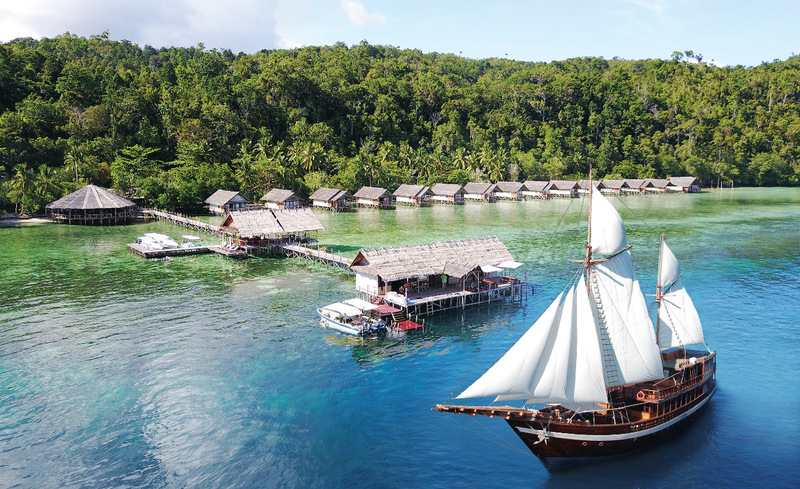 We collaborate closely with the foundation Raja Ampat SEA Centre, which was initiated by our Papua Explorers Resort. Jerry and Debbie Arriaga are Coralia’s husband and wife Cruise Director team. They have worked in the scuba diving industry, specifically on liveaboards for a combined total of 35 years. Cruise Director Jerry, born in Mexico, has been working in the dive industry since 1995. He grew up in Cancun, making his first dive at the age of 10 and he has been diving ever since. 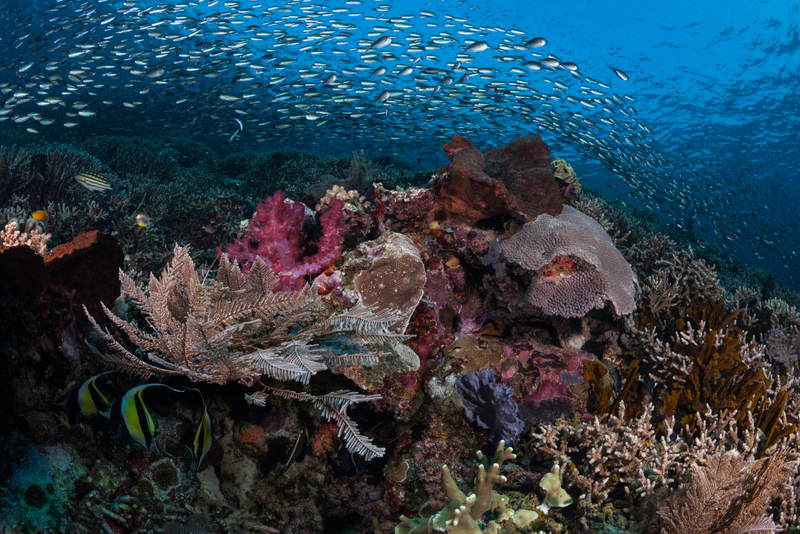 The Red Sea, Mallorca, Indonesia and Thailand have all been home for Jerry, since he became a dive instructor. 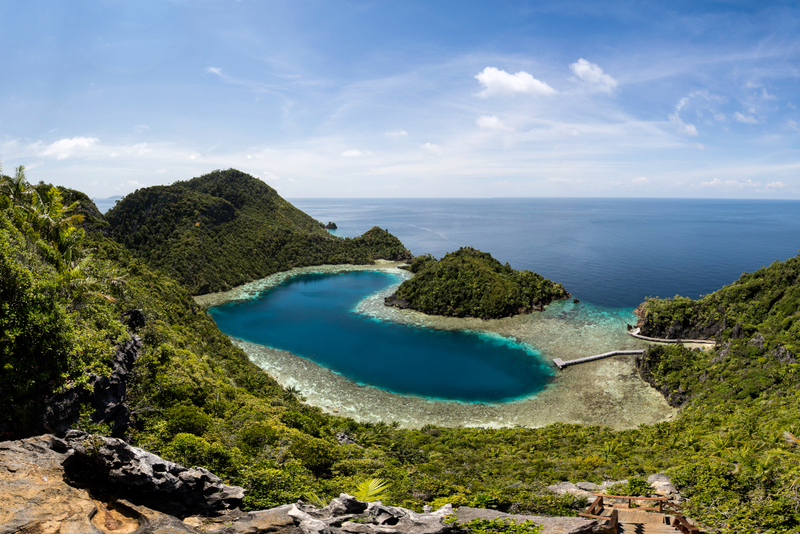 According to Jerry, diving from a liveaboard is the best way to experience remote areas in luxurious comfort – with the ‘house reef’ changing every day as the boat moves to the next exciting destination. Cruise Director Debbie, hails from England, close to the university city of Oxford. She has always loved the ocean and many family holidays were spent by the sea. In 2000, she began her world wanderings with a two year trip to Australia and New Zealand. She became a divemaster in Thailand, during which time she became passionate about liveaboard life. 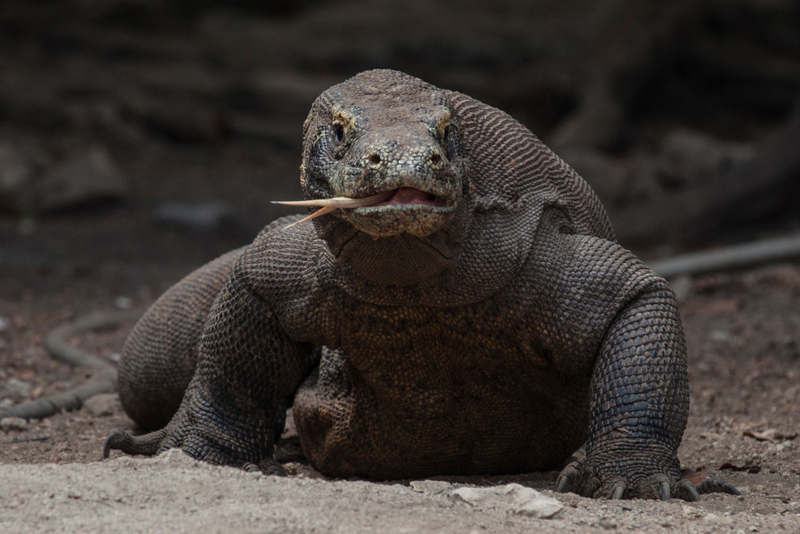 They have been cruising Indonesia’s waters since 2007 and their knowledge and experience of these areas are fundamental to our ability to treat our guests to the best dive spots Indonesia has to offer. 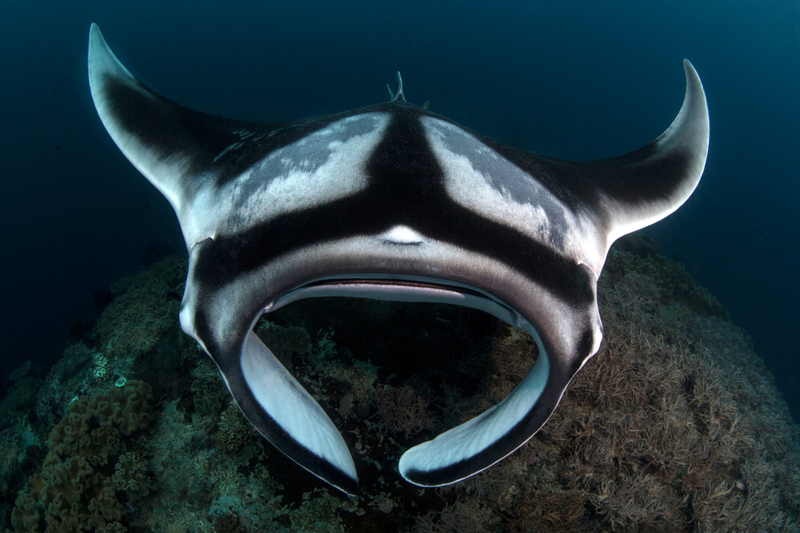 Their passion for being underwater crosses over into extra awareness about marine conservation. They are both accomplished photographers who enjoy so much capturing the underwater world. 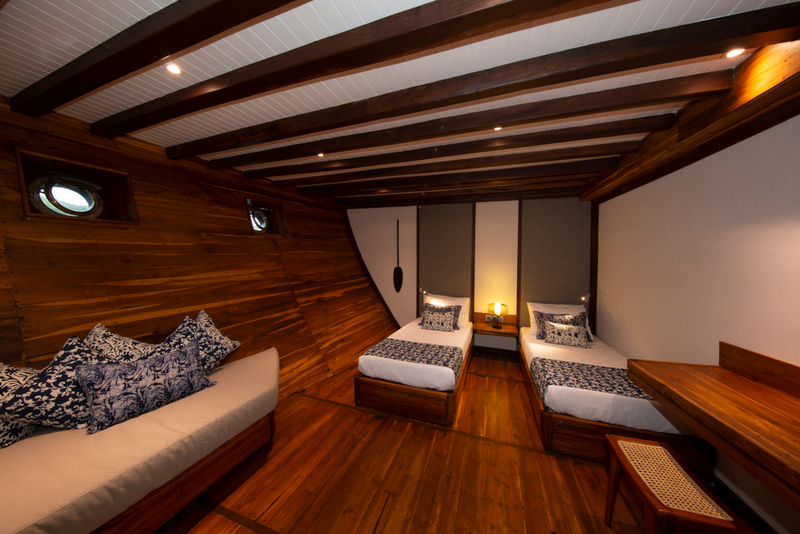 Our eight spacious cabins, designed by internationally renowned Deidre Renniers, offer modern comfort and style while incorporating traditional details. 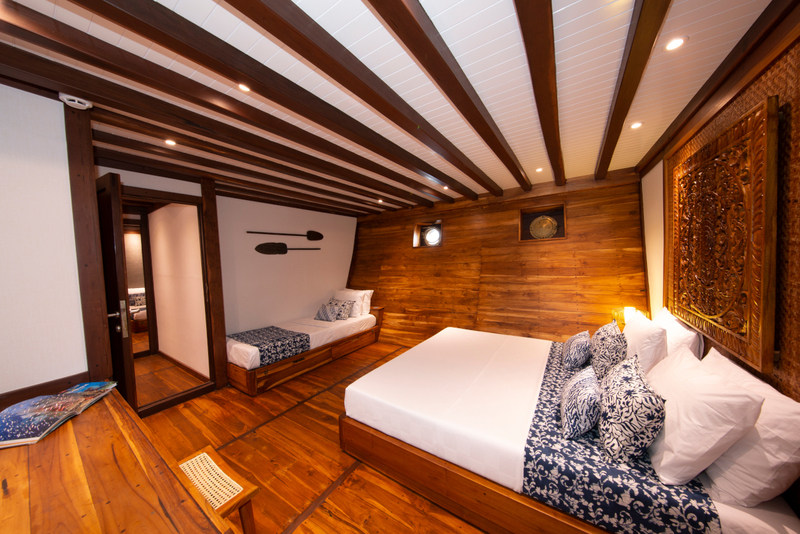 Each cabin is air-conditioned, non-smoking, and has a spacious private bathroom with warm freshwater showers, towels and hairdryer. Environmentally friendly, natural soap and shower amenities are provided free of charge. 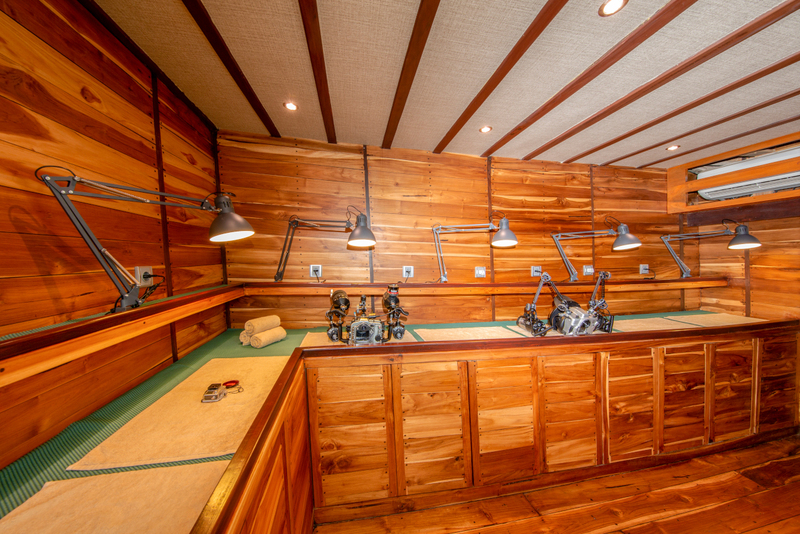 In the cabin itself guests will find cozy beds, a sofa, working desk and closet. A safety box, regular and USB charging stations provide further comfort. 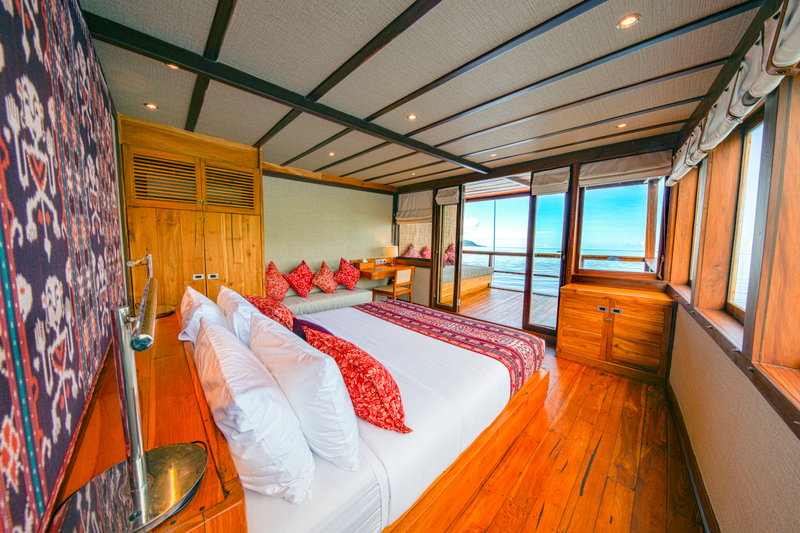 Our four luxurious master cabins on the main and upper deck additionally feature each a private balcony, sun chair and outside sofa, where guests can indulge in the tropical scenery and never miss a sunrise or sunset. 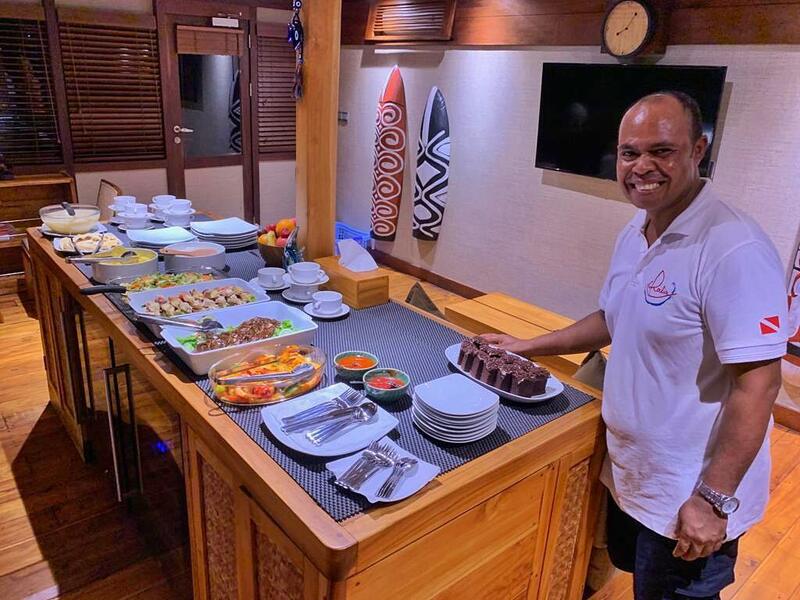 Aboard Coralia you will be well taken care of by our dedicated local crew, with a 1:1 staff-guest-ratio. Our housekeeping will make up your cabin daily and also do a turn-down service in the evenings. A laundry service is offered against a small fee. Our competent captain Hengky from Flores Island has been working at sea since 1995, first starting off as a tender driver alongside the famous Larry Smith. 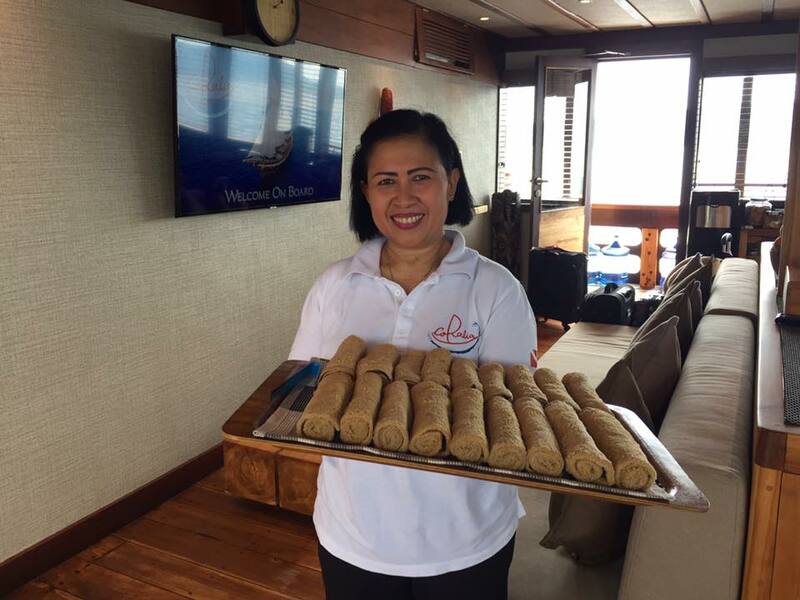 Since then, Hengky has been a captain on ships all over the world, including Africa, Eastern Europe, Maldives, South-East Asia and the South Pacific. 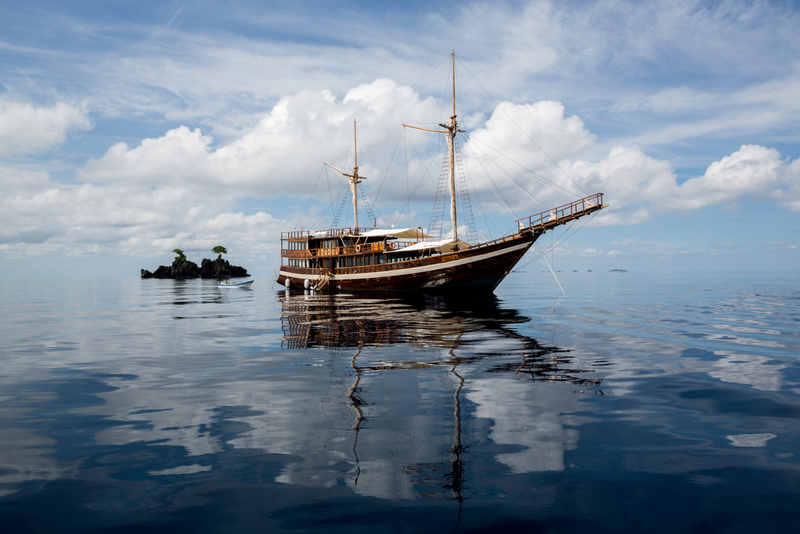 Specifically built for dive cruises, Coralia is a diver’s dream come true! 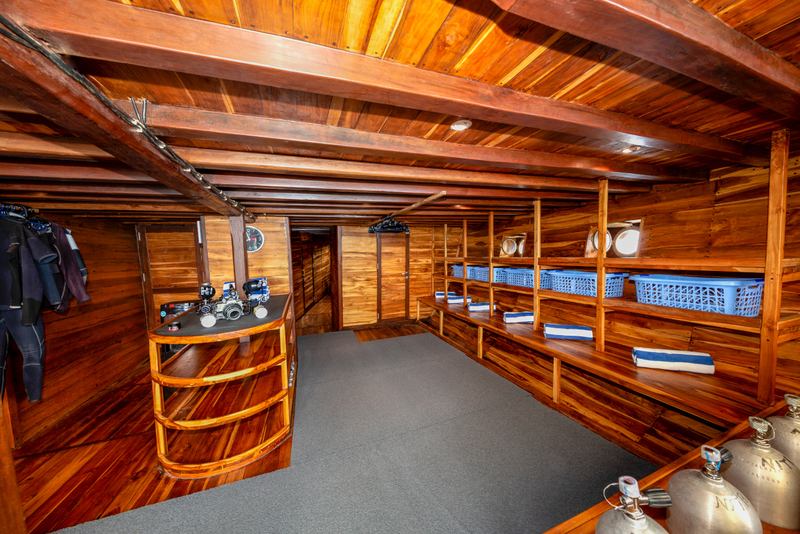 The shaded dive deck has warm showers, a changing room, hangers, equipment storage and extra towels are provided for diving. 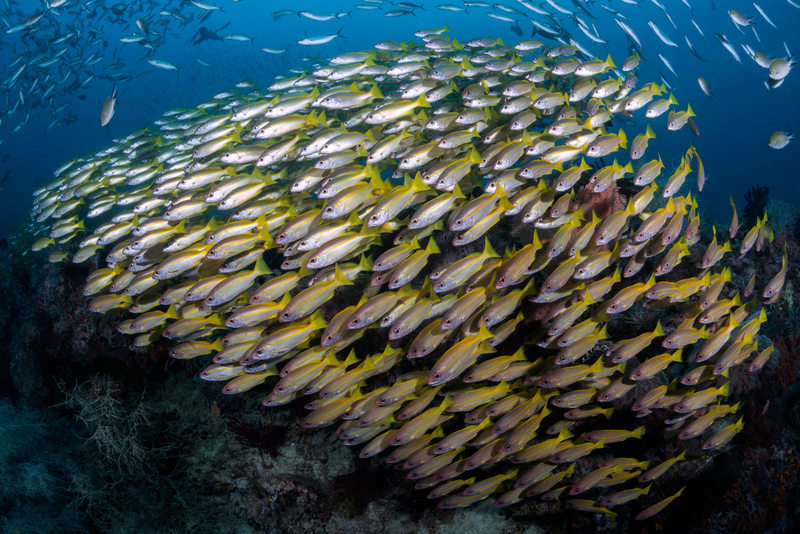 Underwater photographers are well-catered for, with a dedicated air-conditioned camera room on the main deck, providing individual camera stations for charging, extra towels and lighting. The dive deck features a rinsing basket for cameras, as well as a camera table. We dive in small groups with one dive guide accompanying four guests. Our dive team consists of our two experienced cruise directors who are also PADI instructors, and our three PADI certified local dive guides. 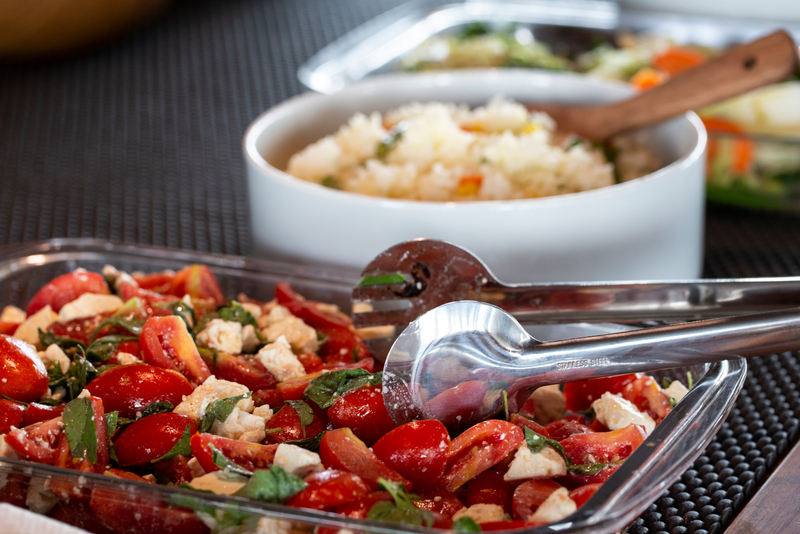 Detailed briefings are held in our restaurant and equipment is set up by our lovely crew. 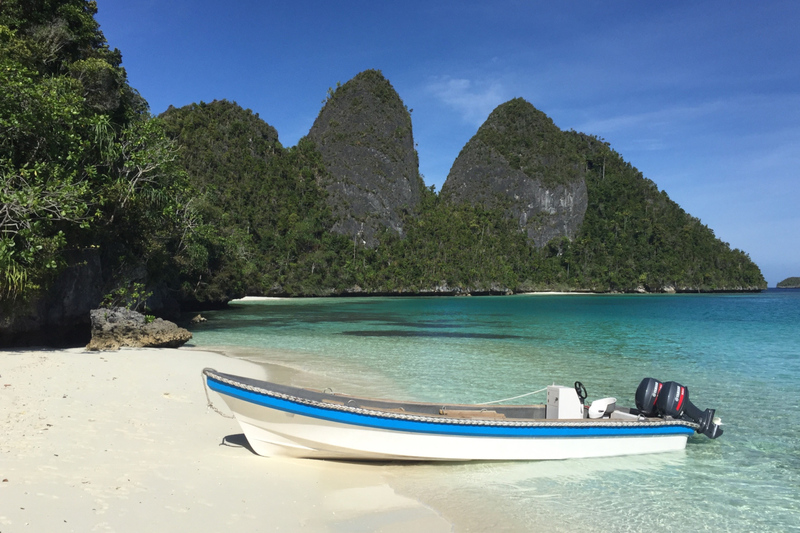 The two tenders bring the divers to the best dive spots and after a quick current check by the guides, you can immerse yourself into Indonesia’s abundant waters. After night dives we’ll get you warmed up with some hot chocolate and warm towels. Nitrox is free of charge on Coralia, the tanks are 12-litre aluminum and we can cater for DIN as well as INT regulators. A limited amount of 15 litre tanks are available upon request against a small surcharge. For those who prefer to leave their dive gear at home, we have rental gear available for a surcharge and it is recommended to reserve it well in advance. For guests who would like to refresh their skills, continue their dive education, and also for the newbies, we offer PADI dive courses and specialties of all sorts. 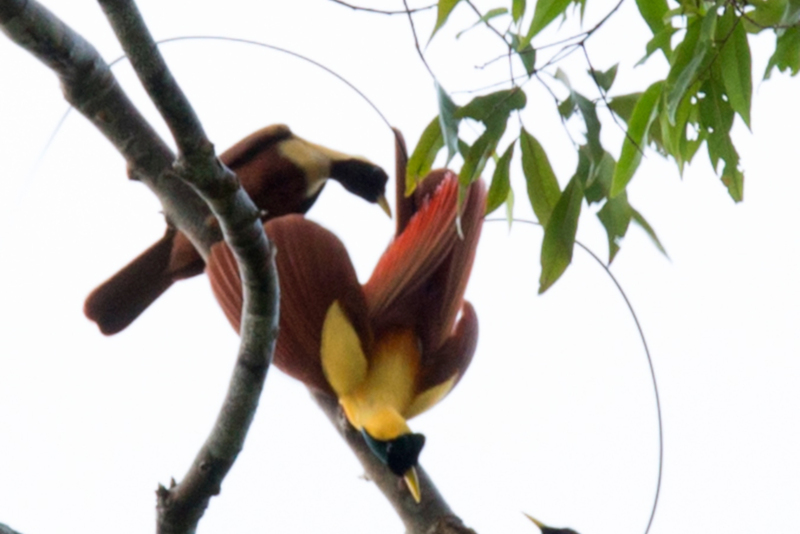 Not only underwater is Indonesia a paradise – with Coralia we visit secluded places, viewpoints to indulge in spectacular panoramas, bird watching spots and small hiking trails, depending on the cruise itinerary. Kayaks and paddleboards will be available for you to explore the surroundings. On some cruises we will have the opportunity to hear interesting presentations from marine scientists and other experts of the area. With Coralia’s length of 48 metres, her decks are spacious and offer plenty of spots to enjoy the view, dine, sunbathe or simply relax. 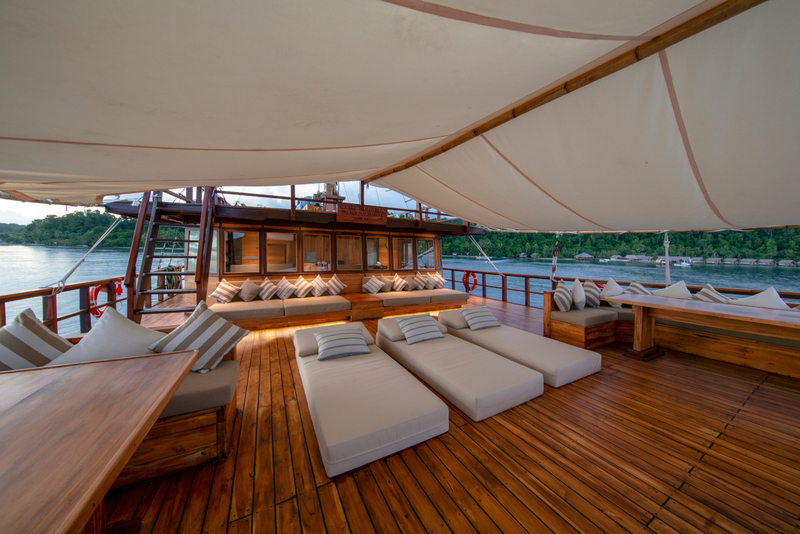 The sun deck is at the very top and the airy main and upper decks feature each an outdoor dining and a leisure area with plenty of cozy sofas and loungers. 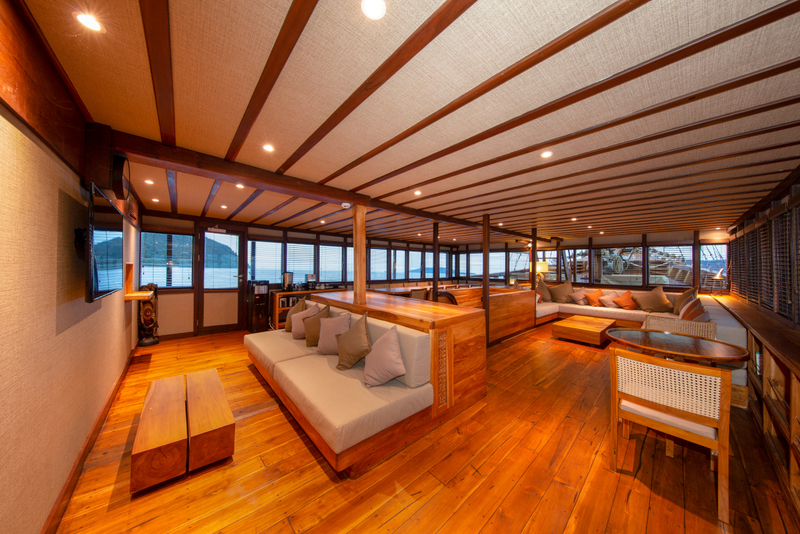 If you prefer to cool down a bit, you can do so in the air-conditioned lounge and restaurant on the main deck. Here you will also find our fish ID library and audio/video entertainment. We provide free WiFi for our guests on board, depending on the local cell phone reception. 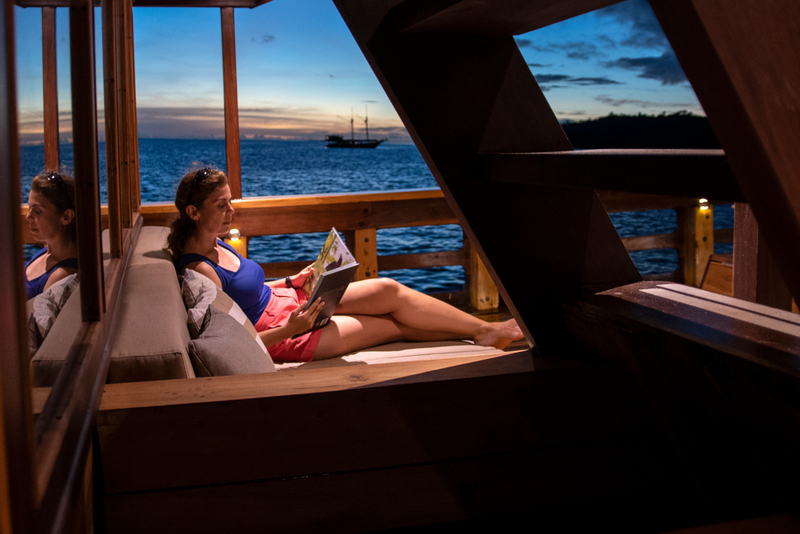 After a busy diving day, you might use the opportunity to indulge in a soothing massage at our spa on the top deck. If you’d like little presents for those waiting for you at home, you can get them in our small souvenir shop on board. Our air-conditioned restaurant as well as our outdoor dining areas are the perfect spots to indulge in the delicious creations of our Ambonese chef and his team. 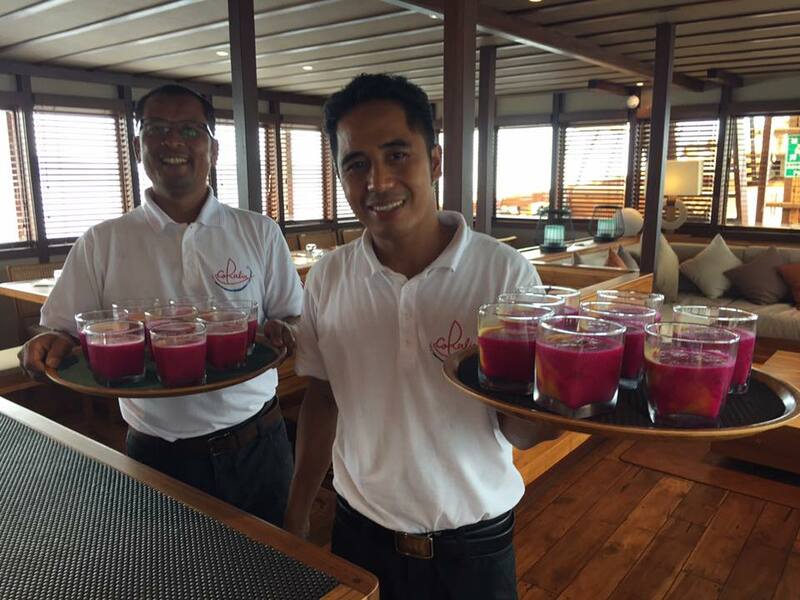 Trained in Bali, he has previously delighted the palate of everyone at our renowned Papua Explorers resort. 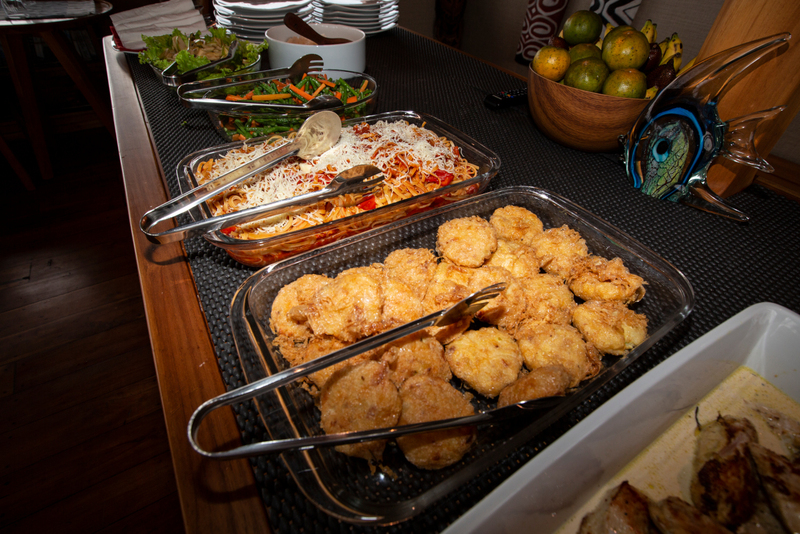 From early breakfast before the first dive, followed by a large breakfast, over lunch, afternoon snacks, right up to dinner, you will be spoiled with highlights of local and international cuisine – some healthy, some wholesome, but all freshly prepared and definitely very tasty. 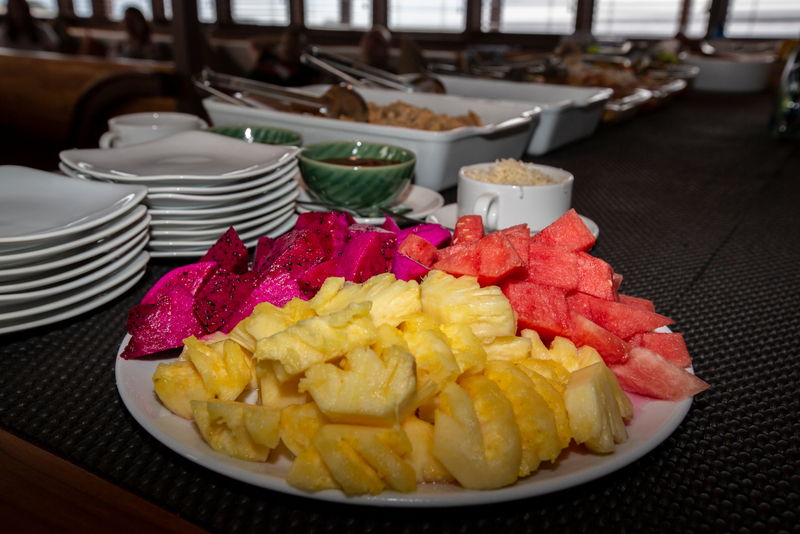 Vegan and vegetarian options are available, and there will always be additional snacks such as cookies and a fruit bowl throughout the day. Dinner is served sometimes a la carte, sometimes buffet style, and once per cruise we will have a mouthwatering barbeque night. Water, coffee, tea and soft drinks are complimentary aboard Coralia. Further we have a selection of beer, wines and spirits on our menu.